Accessibility is very important to make your website accessible for a wide range of users. 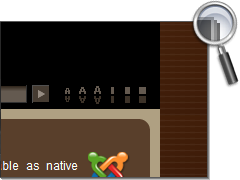 The YOOtheme Styleswitcher enables your website to fit to any screen resolution and to resize the entire text. This is done by giving users ability to change font size and page width. And the icing on the cake is a smooth sliding effect. Try it out now, by clicking the styleswitcher! Notice: it's no problem to deactivate the Styleswitcher completely and to stay always at a fixed width. Just set the Styleswitcher in the template configuration to false and choose your default fixed width.